Two years ago now I wrote a wee blog post on the Profoto B1 500 AirTTL portable battery-powered strobe that I had just ordered. (You can read the original post here). Well, I have used this little strobe a LOT in the 2 years since then and a “proper” review is long overdue. So here it is, keeping things as simple as possible. But first, before we get started, I should point out that the Profoto B1 500 AirTTL I use has been replaced by a newer model, the Profoto B1x. I haven’t looked into it in too much detail but it appears pretty similar to the older model I own. However, Profoto has also introduced a couple of new models, each of which comes in a 500w/s and also a grunty 1000 w/s version. The two models are called the D1 and the D2. I still haven’t figured out why you would buy a D1 instead of a B1x but the Profoto D2 is quite different to the B1x. It has a much faster/shorter flash duration, even at full power, and so is ideal for freezing action. (Despite all the hype about the B1’s Freeze mode and fast action-stopping flash durations, the flash duration on the B1 is pretty slow at full power, meaning motion blur is going to be an issue). Right, having got that all out of the way, let’s talk about what I like about the Profoto B1 500 AirTTL, what I don’t and how it’s been to work with over the past 2 years. Super compact integrated batter design = easy to hand-hold (even by yourself with a camera in one hand) and also super fast to pull out of the bag and start shooting with. TTL. Personally I love the TTL feature (some pros look down their noses at TTL) and find it a life-saver during say a fast-moving wedding location shoot or a shot where the subject is constantly changing distance to the strobe. Super rugged design. I have even sent mine for a quick dip in Lake Wakatipu and it came back to life after using the low voltage USB port to dry the circuitry out. Super easy to use design. 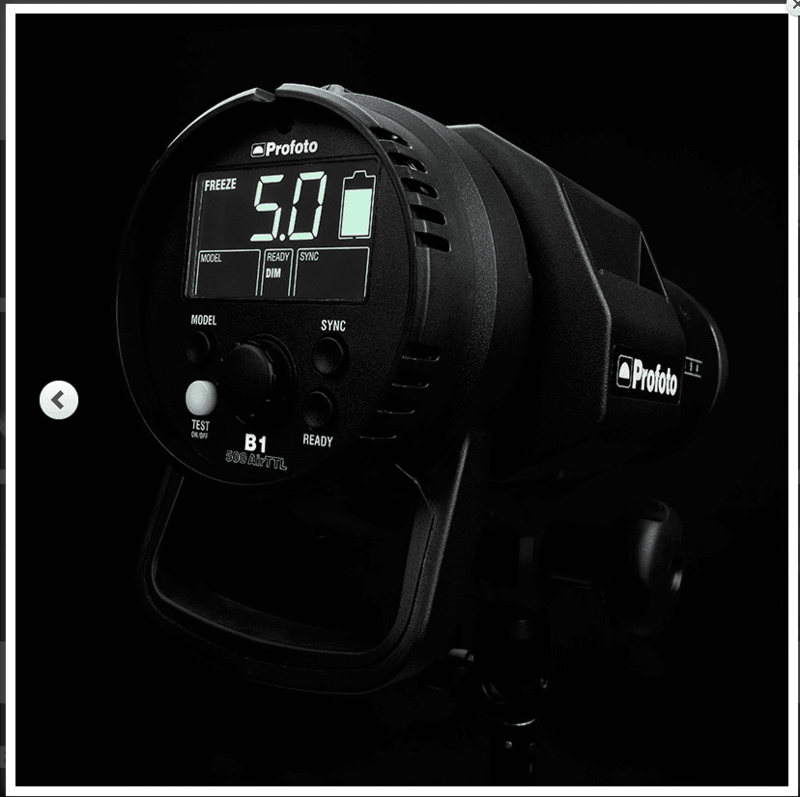 You could literally pick this strobe up, push a few buttons and have a pretty good idea how to shoot with it. Integrated battery design means it’s top heavy on a light stand, way worse than a traditional strobe head and separate battery pack design. (Where you can basically use the battery-pack as ballast). I wish it had more power (and in an ideal world, a much faster flash duration for the rare times I shoot sports these days. I might just have to bite the bullet and buy a D2). How has it been to shoot with the B1 these past 2 years? Totally awesome. Why? The super compact design means I can fit it in my Lowepro Vertex 300AW camera bag and still fit in my Nikon D800, D4S, a couple of speedlights, 5 lenses, a 3 Legged Thing “Brian” tripod and a teleconverter (and a few other bits and bobs). This means I always have lighting (and a lightstand in the form of my Brian tripod) with me along with all my other gear wherever I go. No more carrying a second bag for the strobe into the heli on a heli-wedding shoot or racing back to the car to grab my strobe during a shoot. I’m always ready to pull out “Big Bertha” when I need her! The reliability of the Profoto B1 500 AirTTL and the accompanying AirRemote means you just know that when you push the shutter button everything will work the way it’s meant to.